UN - 31 July 2014 – The United Nations Food and Agriculture Organization (FAO) warned today that food insecurity continues to deepen in South Sudan as funding for life-saving assistance dwindles. The funding shortfall is hampering efforts to provide farmers, fishers and pastoralists in the country with emergency livelihood kits, which contain crop and vegetable seeds, fishing equipment and livestock treatment kits and vaccines for veterinary support, aggravating the risk of famine in some areas, FAO noted in a news release. The agency has so far received $42 million of the $108 million it has appealed for as part of the revised Crisis Response Plan for 2014. Contributions received to date have been used to reach more than 205,000 vulnerable households – over 1.2 million people – with the livelihood kits. FAO said it is delivering emergency livelihood support at a pace 10 times faster than last year. It has delivered, spent or committed all of the funds it has received, and resources have now run out. An additional $66 million is urgently needed to further expand the agency’s support. “An additional 2 million people, or 345,000 vulnerable households, can be supported if we receive additional funding,” said Jeff Tschirley of FAO’s Emergency and Rehabilitation Division. The FAO Representative in South Sudan and the UN’s Deputy Humanitarian Coordinator there, Sue Lautze, underlined the importance of the emergency livelihood kits for the country, where up to 95 per cent of the population depends on farming, fishing or herding to meet their food and income needs. “The distribution of the kits provides the means for fishers to fish, farmers to plant and pastoralists to keep their herds healthy, which in turn puts milk, vegetables, meat and fish on the table, and that’s been keeping a lot of people alive right now,” she said. 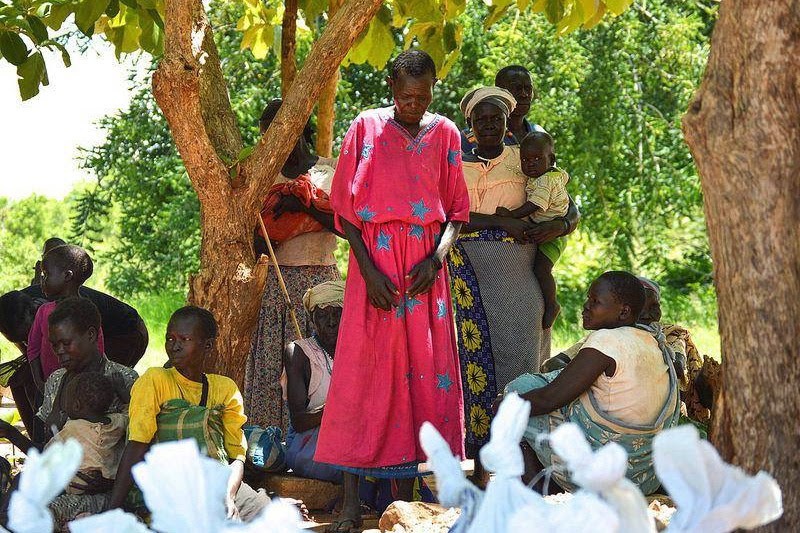 In May, some 3.5 million people – almost one in three South Sudanese – were facing crisis or emergency levels of food insecurity, and the number is expected to increase to 3.9 million (34 per cent of the total population) during June through August 2014. More than 1.5 million people have fled their homes since conflict broke out in the country in mid-December and the situation has been further exacerbated by the onset of the rainy season in June. Meanwhile, violent clashes continue to be reported in some areas despite the signing of a cessation of hostilities agreement in May. Together, UN agencies and partners have received only 50 per cent of the total $1.8 billion requested under the Crisis Response Plan for 2014 to carry out urgent humanitarian interventions in the country.